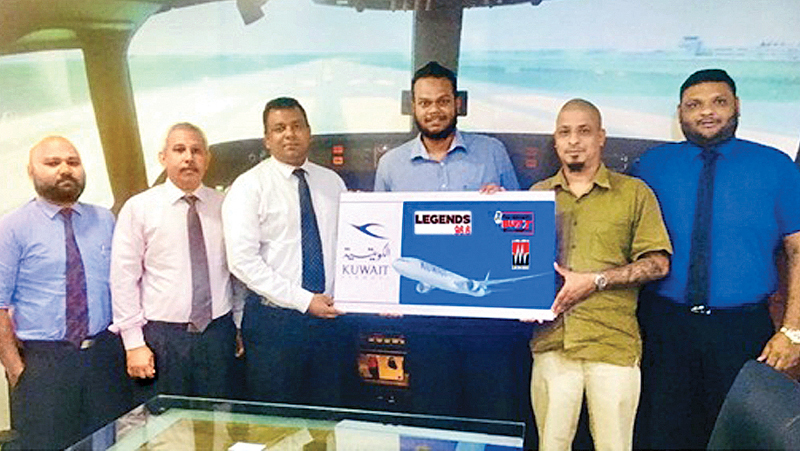 Kuwait Airways, the national airline of Kuwait and in Sri Lanka for over four decades, recently inked the sponsorship of the popular morning show “The Morning Buzz” on MTV/MBC networks. The introduction of this new agreement opens up several travel options to Sri Lanka’s seasoned travelers including Kuwait Airways multitude of special offers, deals and fares such as their 2 for 1 business class deal, Student fares, Family fares and accompanying special baggage allowances. In Conjunction with the sponsorship of the Morning Buzz, Kuwait Airways is also introducing their latest destinations of Nice in France and Lanaca in Cyprus as part of their Summer flight schedule. These prime tourist destinations will all be serviced by the world’s youngest fleet which includes the airline’s flagship Boeing 777-300ER aircraft operating out of Kuwait which is indeed good news for travelers. Passengers will be treated to an Enhanced baggage allowance and free membership in Kuwait Airway’s Oasis Club Frequent Flyer program as an added benefit.